Director of Undergraduate and Postgraduate Academic Affairs Department, Vietnam National University, Hanoi. Dr.Sc (Habilitation): 1997, Laboratory of Mechanics of composite materials - Mechanical Engineering Research Institute of Russian Academy of Sciences, Moscow - Russia. 1980 - 1984: Student of Dept.of. Maths. & Mech., Hanoi State University, (B.Sc – 1984). 1985 - 10/1986: Lecturer of Dept.of. Maths. & Mech., Hanoi State University. 10/1986 - 9/1991: Post-graduate for Ph.D Dissertation at Dept. of Maths. & Mech. , Moscow State University. (Ph.D-1991). 10/1991 - 6/1993: Post-doctoral at Dept. of Mathe. & Mecha., Moscow State University. 6/1993 - 12/1997: Post-graduate for Dr.Sci. (Dr. Habilitation) Dissertation at Laboratory of Mechanics of composite, Mechanical Engineering Research Institute of Russ. Acad. of Sci. (Dr.Sc -1997). 12/1997 - 8/1999: Reseacher of Laboratory of Mechanics of composite, Mechanical Engineering Research Institute of Russian Academy of sciences. The member of the Central Committee of the Vietnam Fatherland Front in period 1999-2004. 9/1999 - 12/2001: Guest Research Professor - Main researcher of Laboratory of Mechanics of composite, Mechanical Engineering research Institute of Russian Academy of sciences. The Vice-President and Secretary general of Vietnam Science-Technical Association in Russia (1999-12/2001). The foreign member of Russian Academy of Natural Sciences and the member of International Academy of Scientific Inventions and Patents (since 1999). 7/2002 - 9/2003: Expert of External Affairs and Economic Department of the Central Committee of the Vietnam Fatherland Front. Guest Lecturer of University of Sciences, Vietnam National University – Hanoi; The Head of Editorial Board of Mathematics and Physics Journal (in English) of Vietnam National University, Hanoi (since 2002). 9/2003 - 3/2004: Expert of School of Graduate Studies, Vietnam National University, Hanoi (VNU). Guest Lecturer of University of Sciences, Vietnam National University – Hanoi. 3/2004 - 9/2004: Vice-Director of Academic Affairs Department, Vietnam National University, Hanoi (VNU). Vice-President of Vietnamese Young Scientist Association in Vietnam (2004-2010). 10/2004 - 2/2005: Vice Director of Science and Technology Department, Vietnam National University , Hanoi (VNU). 2/2005 – 11/2008: Director of Science and Technology Department, Vietnam National University, Hanoi (VNU). The secretary of the Council for Science and Education of Vietnam National University, Hanoi. 11/2008 - 9/2012 : Vice President of University of Engineering and Technology - Vietnam National University, Hanoi. The Head of Laboratory of Advanced Materials and Structures, University of Engineering and Technology (UET) – VNU Hanoi. 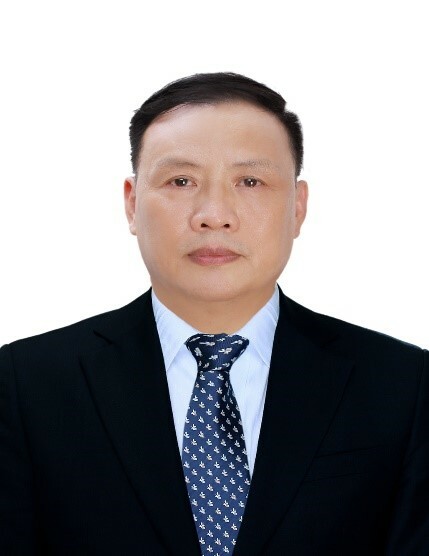 The Dean of the Department of Technology in Civil Engineering and Tranportation of University of Engineering and Technology (UET) – VNU Hanoi. Nguyen Dinh Duc, The spherofibre composite with space structure, URSS Publishing House, Moscow, Russia, 2000, 242 pages (Monograph in Russian). Nguyen Dinh Duc, Nguyen Hoa Thinh, Composite materials - Mechanics and Technology of manufacture, Science and Technics Publishing House, Hanoi, Vietnam, 2002, 364 pages (Monograph in Vietnamese). Nguyen Dinh Duc, Dao Nhu Mai, Strength of the Materials and Structures. Vietnam National University Press, Hanoi, 2012, 292 pages (Text book in Vietnamese). Nguyen Dinh Duc, Nonlinear Static and Dynamic Stability of Functionally Graded Plates and Shells. Vietnam National University Press, Hanoi, 2014, 724 pages (Monograph in English). J. Aerospace Science and Technology (Elsevier, SCI). Proccedeing A: Mathematical, Physical and Engineering Sciences (The Royal Society Publishing). 6.2. The Head of Editorial Board of Journal of Mathematics and Physics, Vietnam National University, Hanoi (since 2002). The member of Editorial Advisory Board of Journal Cogent Engineering: http://cogentoa.tandfonline.com/page/aboutJournal?journalCode=oaen20 (UK, Taylor & Francis, Scopus Journal). The member of Editor Board (The Head of Engineering and Technology Session) of Vietnam Technology and Sciences Journal – Vietnam Ministry of Technology and Science. The member of Editor Board - Journal of Science: Advanced Materials and Devices (journal in http://www.sciencedirect.com, ISI journal, Elsevier). Guest Editor of Special Issue on “Advances in hybrid composite materials and structures” of ISI Journal: Advances in Mechanical Engineering (2016). Nguyen Dinh Duc, Homayoun Hadavinia, Tran Quoc Quan, Nguyen Dinh Khoa (2019). Free vibration and nonlinear dynamic response of imperfect nanocomposite FG-CNTRC double curved shallow shells in thermal environment. European Journal of Mechanics - A/Solids, Vol.75, pp.355-366 (Elsevier, SCI, IF = 2.88). Minh-Chien Trinh, Dinh-Duc Nguyen, Seung-Eock Kim (2019). Effects of porosity and thermomechanical loading on free vibration and nonlinear dynamic response of functionally graded sandwich shells with double curvature. J Aerospace Science and Technology, Vol. 87, pp.119-132 (Elsevier, SCI, IF=2.22). Vinyas M, Nischith G, Loja M.A.R, Ebrahimi F, Nguyen Dinh Duc (2019). Numerical analysis of the vibration response of skew magneto-electro-elastic plates based on the higher-order shear deformation theory. Composite Structures, Vol. 214, pp.132-142 (Elsevier, SCIE, IF =4.1 ). Pham Hong Cong, Pham Thanh Long, Nguyen Van Nhat, Nguyen Dinh Duc (2019). Geometrically nonlinear dynamic response of eccentrically stiffened circular cylindrical shells with negative Poisson’s ratio in auxetic honeycombs core layer. International journal of Mechanical Sciences, Vol. 152, pp.443-453 (Elsevier, SCI, IF = 3.57). Thanh Trung Tran, Nam Hoang Nguyen, Thom Van Do, Phung Van Minh, Nguyen Dinh Duc (2019). Bending and thermal buckling of unsymmetric functionally graded sandwich beams in high temperature environment based on a new third order shear deformation theory. Journal of Sandwich Structures and Materials, Vol. 20 (6), pp.692-717 (SAGE, SCIE, IF=2.852). Vuong M. Pham, Nguyen Dinh Duc (2019). Nonlinear buckling and post-buckling of FGM toroidal shell segment under torsional load in thermal environment within Reddy’s third-order shear deformation shell theory. J Mechanics of Composite Materials, Accepted for publication (NXB Springer, SCIE). Do Quang Chan, Vu Do Long and Nguyen Dinh Duc (2019). Nonlinear buckling and post-buckling of FGM shear deformable truncated conical shells reinforced by FGM stiffeners. J. Mechanics of Composite Materials, Vol. 54 (6), pp.754-764 (Springer, SCIE, IF = 0.834). Van Q. Doan, Hiroyuki Kusaka , Toan V. Du , Duc D. Nguyen, and Thanh Cong (2018). Numerical Approach for Studying Offshore Wind Power Potential Along the Southern Coast of Vietnam. Proceedings of the 1st Vietnam Symposium on Advances in Offshore Engineering, VSOE 2018, https://link.springer.com/chapter/10.1007/978-981-13-2306-5_33, pp.245-249 (NXB Springer). Nguyen Dinh Duc, Pham Dinh Nguyen, Nguyen Huy Cuong, Nguyen Van Sy, Nguyen Dinh Khoa (2018). An analytical approach on nonlinear mechanical and thermal post-buckling of nanocomposite double-curved shallow shells reinforced by carbon nanotubes. Journal of Mechanical Engineering Science, https://doi.org/10.1177/0954406218802921 (SAGE, SCI, IF=1.015). Duc Nguyen Dinh, Pham Hong Cong (2018). Nonlinear dynamic response and vibration of sandwich composite plates with negative Poisson’s ratio in auxetic honeycombs. Journal of Sandwich Structures and Materials, Vol. 20 (6), pp.692-717 (SAGE, SCIE, IF=2.852). Nguyen Dinh Duc, Doan Hong Duc, Do Van Thom, Trinh Duc Truong (2018). A static buckling investigation of multi-cracked FGM plate based phase-field method coupling the new TSDT. (Springer, Nature Index, SCI, IF = 2.11), https://doi.org/10.1007/s00707-018-2256-6. Hoa Trong Hoang, Pham The Dung, Nguyen Dinh Duc (2018). Innovation practices at Vietnamese manufactures: the impacts of innovation on profitability and growth. Economic Bulletin, Vol. 38 (3), pp. 1457-1466 (Springer, ISI, IF =1.05). Pham Minh Vuong, Nguyen Dinh Duc (2018). Nonlinear response and buckling analysis of eccentrically stiffened FGM toroidal shell segments in thermal environment. Journal Aerospace Science and Technology, Vol. 79, pp. 383-398 (Elsevier, SCI, IF=2.22). Pham Hong Cong, Nguyen Dinh Duc (2018). New approach to investigate nonlinear dynamic response and vibration of functionally graded multilayer graphene nanocomposite plate on viscoelastic Pasternak medium in thermal environment. J Acta Mechanica, Vol.229, pp 3651-3670, https://doi.org/10.1007/s00707-018-2178-3, (Springer, Nature Index, SCI, IF=2.11). Nguyen Dinh Duc, Nguyen Dinh Khoa, Hoang Thi Thiem (2018). Nonlinear thermo-mechanical response of eccentrically stiffened Sigmoid FGM circular cylindrical shells subjected to compressive and uniform radial loads using the Reddy’s third-order shear deformation shell theory. J. Mechanics of Advanced Materials and Structures, Vol 25(13), pp.1157-1167, http://dx.doi.org/10.1080/15376494.2017.1341581 (Taylor & Francis, SCIE, IF=2.64). Nguyen Dinh Duc, Ngo Duc Tuan, Pham Hong Cong, Ngo Dinh Dat, Nguyen Dinh Khoa (2018). Geometrically nonlinear dynamic response and vibration of shear deformable eccentrically stiffened FGM cylindrical panels subjected to thermal, mechanical and blast loads. J. Sandwich Structures and Materials, https://doi.org/10.1177/1099636218765603 (SAGE, SCIE, IF=2.852). Pham Hong Cong, Trinh Minh Chien, Nguyen Dinh Khoa, Nguyen Dinh Duc (2018). Nonlinear thermo-mechanical buckling and post-buckling response of porous FGM plates using Reddy’s HSDT. Journal Aerospace Science and Technology, Vol. 77, pp.419-428 (Elsevier, SCI, IF=2.22). Nguyen Dinh Duc, Vu Dinh Quang, Pham Dinh Nguyen, Trinh Minh Chien (2018). Nonlinear dynamic response of FGM porous plates on elastic foundation subjected to thermal and mechanical loads using the first order shear deformation theory. Journal of Applied and Computational Mechanics, Vol 4(4), pp. 245-259, DOI: 10.22055/JACM.2018.23219.1151. Pham Hong Cong, Nguyen Duy Khanh, Nguyen Dinh Khoa, Nguyen Dinh Duc (2018). New approach to investigate nonlinear dynamic response of sandwich auxetic double curves shallow shells using TSDT. Composite Structures, Vol. 185, 455-465 (Elsevier, SCIE, IF=4.1). Tuan Truong Anh, Thom Do Van, Dat Pham Tien, Nguyen Dinh Duc(2018). The effects of strength models in numerical study of metal plate destruction by contact xeplosive charge. J. Mechanics of Advanced Materials and Structures, online publication: http://www.tandfonline.com/doi/full/10.1080/15376494.2017.1410907 (Taylor & Francis, SCIE, IF = 2.64). Nguyen Dinh Duc, Kim Seung-Eock, Do Quang Chan (2018). Thermal buckling analysis of FGM sandwich truncated conical shells reinforced by FGM stiffeners resting on elastic foundations using FSDT. J Thermal Stresses, Vol. 41(3), pp.331-365 (Taylor & Francis, SCI, IF=1.85). Nguyen Dinh Duc et al. (2017). Nanocomposite structure for organic photovoltaic devices. Invited speaker at The South-East Asia – Japan Conference on composite materials (SEAJCCM2), 6-9 August 2017, Tokyo, Japan. Nguyen Dinh Duc, Kim Seung-Eock, Tran Quoc Quan, Dang Dinh Long, Vu Minh Anh (2017). Noninear dynamic response and vibration of nanocomposite multilayer organic solar cell. Composite Structure, Vol. 184, pp 1137-1144, https://doi.org/10.1016/j.compstruct.2017.10.064, (Elsevier, SCIE, IF = 4.1). Nguyen Dinh Duc, Pham Dinh Nguyen (2017). The dynamic response and vibration of functionally graded carbon nanotubes reinforced composite (FG-CNTRC) truncated conical shells resting on elastic foundation. Materials. Special Issue “Advanced composite”, Vol 10(10), 1194; http://www.mdpi.com/1996-1944/10/10/1194 (MDPI, Switrerland, SCIE, IF = 2.654). Thom Van Do, Duc Hong Doan, Nguyen Dinh Duc, Tinh Quoc Bui (2017). Phase-field thermal buckling analysis for cracked functionally graded composite plates considering neutral surface. Composite Structures, Vol.182, pp.542-548 (Elsevier, SCIE, IF = 4.1). Dao Van Dung, Nguyen Dinh Duc, Hoang Thi Thiem (2017). Dynamic analysis of imperfect FGM circular cylindrical shells reinforced by FGM stiffener system using third order shear deformation theory in term of displacement componets. Latino American Journal of Solid and Structures http://www.lajss.org/index.php/LAJSS/article/view/3516, (Scopus Journal, IF =1.11). Nguyen Dinh Duc et al. (2017). Light absorption, luminescence, dynamic response and vibration of nanocomposite organic solar cells. Invited speaker at The 9th Conference of the Asian Consortium on Computational Material Science (ACCMS-9), 8-11 August 2017, Kuala Lumpur, Malaysia. Nguyen Dinh Duc et al. (2017). Nanocomposite structure for organic photovoltaic devices. Invited speaker at The South-East Asia – Japan Comference on composite materials (SEAJCCM2), 6-9 August 2017, Tokyo, Japan. Nguyen Dinh Duc (2017). Nonlinear thermal dynamic analysis of eccentrically stiffened FGM structures usinh HSDT. Invited speaker at International Symposium in Mechanical Engineering, 10-12 July, Yonsei University, Seoul, Korea. Nguyen Dinh Duc, Tran Quoc Quan, Nguyen Dinh Khoa (2017). New approach to investigate nonlinear dynamic response and vibration of imperfect functionally graded carbon nanotube reinforced composite double curved shallow shells subjected to blast load and temperature. Vol.71, pp.360-372 (Elsevier, SCI, IF=2.22). https://doi.org/10.1016/j.ast.2017.09.031. Nguyen Dinh Duc, Kim Seung-Eock, Pham Hong Cong, Nguyen Tuan Anh, Nguyen Dinh Khoa (2017). Dynamic response and vibration of composite double curved shallow shells with negative Poisson’s ratio in auxetic honeycombs core layer on elastic foundations subjected to blast and damping loads. International Journal of Mechanical of Sciences, Vol 133, pp.504-512, https://doi.org/10.1016/j.ijmecsci.2017.09.009 (Elsevier, SCI, IF=3.57). Duc Hong Doan, Tinh Bui Quoc, Thom Van Do, Nguyen Dinh Duc (2017). A rate-dependent hybrid phase field model for dynamic crack propagation. Journal of Applied Physics, doi: 10.1063/1.4990073; 122, 115102 (2017) (AIP, American Institute of Physics, SCI, IF=2.068). Nguyen Dinh Duc, Kim Seung-Eock, Ngo Duc Tuan, Phuong Tran, Nguyen Dinh Khoa (2017). New approach to study nonlinear dynamic response and vibration of sandwich composite cylindrical panels with auxetic honeycomb core layer. Journal Aerospace Science and Technology, Vol.70, pp.396-404, https://doi.org/10.1016/j.ast.2017.08.023 (Elsevier, SCI, IF=2.22). Nguyen Van Thanh, Vu Dinh Quang, Nguyen Dinh Khoa, Kim Seung-Eock , Nguyen Dinh Duc (2017). Nonlinear dynamic response and vibration of FG CNTRC shear deformable circular cylindrical shell with temperature dependent material properties and surrounded on elastic foundations. Journal of Sandwich Structures and Materials (SAGE, SCIE, IF=2.852): doi/10.1177/1099636217752243. Thom Do Van, Dinh Kien Nguyen, Nguyen Dinh Duc, Duc Hong Doan, Tinh Bui Quoc (2017). Analysis of bi-directional functionally graded plates by FEM and a new third-order shear deformation plate theory. J Thin Walled Structures, Vol. 119, pp.687-699 (Elsevier, SCIE, IF=2.88). Nguyen Dinh Duc, Jaechong Lee, T. Nguyen-Thoi, Pham Toan Thang (2017). Static response and free vibration of functionally graded carbon nanotube-reinforced composite rectangular plates resting on Winkler-Pasternak elastic foundations. J. Aerospace Science and Technology, Vol. 68, pp.391-402 (Elsevier, SCI, IF=2.22). Nguyen Van Thanh, Nguyen Dinh Khoa, Ngo Duc Tuan, Phuong Tran, Nguyen Dinh Duc (2017). Nonlinear dynamic response and vibration of functionally graded carbon nanotubes reinforced composite (FG-CNTRC) shear deformable plates with temperature dependence material properties and surrounded on elastic foundations. J. Thermal Stresses, Vol. 40 (10), pp.1254-1274 (Taylor & Francis, SCI, IF=1.85). Nguyen Dinh Duc, Vu Dinh Quang, Vu Thi Thuy Anh (2017). The nonlinear dynamic and vibration of the S-FGM shallow spherical shells resting on an elastic foundations including temperature effects. International Journal of Mechanical of Sciences, Vol. 123, pp. 54-63 (Elsevier, SCI, IF=3.75). Pham Toan Thang, Nguyen Dinh Duc, Nguyen Thoi Trung (2017). Thermomechanical buckling and post-buckling of cylindrical shell with functionally graded coatings and reinforced by stringers. J. Aerospace Science and Technology, Vol.66, pp.392-401 (Elsevier, SCI, IF=2.22). Nguyen Dinh Khoa, Hoang Thi Thiem, Nguyen Dinh Duc (2017). Nonlinear buckling and postbuckling of imperfect piezoelectric S-FGM circular cylindrical shells with metal-ceramic-metal layers in thermal environment using Reddy’s third-order shear deformation shell theory. J. Mechanics of Advanced Materials and Structures, http://dx.doi.org/10.1080/15376494.2017.1341583 (Taylor & Francis, SCIE, IF=2.64). Nguyen Dinh Duc, Pham Dinh Nguyen, Nguyen Dinh Khoa (2017). Nonlinear dynamic analysis and vibration of eccentrically stiffened S-FGM elliptical cylindrical shells surrounded on elastic foundations in thermal environments. J Thin Walled Structures, Vol. 117, pp.178-189 (Elsevier, SCIE, IF=2.88). Valentin S. Bondar, Vladimir V. Dansin, Long D. Vu, Nguyen Dinh Duc (2017). Constitutive modeling of cyclic plasticity deformation and low-high cycle fatigue of stainless steel 304 in uniaxial stress state. J. Mechanics of Advanced Materials and Structures, http://dx.doi.org/10.1080/15376494.2017.1342882 (Taylor & Francis, SCIE, IF=2.64). Nguyen Dinh Duc, Pham Hong Cong, Ngo Duc Tuan, Phuong Tran, Nguyen Van Thanh (2017). Thermal and mechanical stability of functionally graded carbon nanotubes (FG CNT)-reinforced composite truncated conical shells surrounded by the elastic foundations, Thin-Walled Structures, Vol. 115, pp.300-310 (Elsevier, SCIE, IF=2,88). Nguyen Dinh Duc, Ngo Duc Tuan, Phuong Tran, Tran Quoc Quan, Nguyen Van Thanh (2017). Nonlinear dynamic response and vibration of imperfect eccentrically stiffened sandwich third-order shear deformable FGM cylindrical panels in thermal environments. Journal of Sandwich Structures and Materials, (SAGE, SCIE, IF=2.852), http://journals.sagepub.com/doi/10.1177/1099636217725251. Pham Hong Cong, Vu Minh Anh, Nguyen Dinh Duc (2017). Nonlinear dynamic response of eccentrically stiffened FGM plate using Reddy’s TSDT in thermal environment. J. Thermal Stresses, Vol.40(6), pp.704-732 (Taylor & Francis, SCI, IF=1.85). Tran Quoc Quan, Nguyen Dinh Duc (2017). Nonlinear thermal stability of eccentrically stiffened FGM double curved shallow shells. J. Thermal Stresses, Vol.40(2), pp.211-236, (Taylor & Francis, SCI, IF=1.85). Nguyen Dinh Duc, Ngo Duc Tuan, Phuong Tran, Tran Quoc Quan (2017). Nonlinear dynamic response and vibration of imperfect shear deformable functionally graded plates subjected to blast and thermal loads. J. Mechanics of Advanced Materials and Structures, Vol.24 (4), pp.318-329 (Taylor & Francis, SCIE, IF=2.64). Nguyen Dinh Duc (2016). Nanocomposite materials for energy conversion and storage. Invited Speaker. Asian Consortium on Computational Materials Sciences Theme Meeting 2016 (MCCMS TM 2016), 22-24 September, India. Nguyen Dinh Duc (2016). Enhancement of energy conversion efficiency in organic solar cell using nanoparticles. Invited keynote speaker in plenary session of the Canada-Japan-Vietnam Workshop on Composites. 8-10, August, 2016, Hochiminh City, Vietnam. Pham Toan Thang, Nguyen Dinh Duc, Nguyen Thoi Trung (2016). Effects of variable thickness and imperfection on nonlinear buckling of Sigmoid-functionally graded cylindrical panels. J. Composite Structures, Vol. 155, pp.99-106 (Elsevier, SCIE, IF=4.1). Thê - Duong Nguyen, Nguyen Dinh Duc (2016). Evaluation of elastic properties and thermal expansion coefficient of composites reinforced by randomly distributed spherical particles with negative Poisson’s ratios. J. Composite Structures, Vol. 153, pp.569-577 (Elsevier, SCIE, IF=4.1). Duc Hong Doan, Tinh Quoc Bui, Nguyen Dinh Duc, Fazuyoshi Fushinobu (2016). Hybrid Phase Field Simulation of Dynamic Crack Propagation in Functionally Graded Glass-Filled Epoxy. Composite Part B: Engineering. Vol. 99, pp.266-276(Elsevier, SCI, IF = 4.9). Nguyen Dinh Duc, Pham Hong Cong, Vu Dinh Quang (2016). Nonlinear dynamic and vibration analysis of piezoelectric eccentrically stiffened FGM plates in thermal environment. International Journal of Mechanical of Sciences, Vol. 115-116, pp.711-722 (Elsevier, SCI, IF=3.57). Nguyen Dinh Duc, Ngo Duc Tuan, Phuong Tran, Pham Hong Cong, Pham Dinh Nguyen (2016). Nonlinear stability of eccentrically stiffened S-FGM elliptical cylindrical shells in thermal environment. Thin-Walled Structures, Vol.108, pp 280-290 (Elsevier, SCIE, IF=2,28). Zhen Wang, Tiantang Yu, Tinh Quoc Bui, Ngoc Anh Trinh, Nguyen Thi Hien Luong, Nguyen Dinh Duc, Doan Hong Duc (2016). Numerical modeling of 3-D inclusions and voids by a novel adaptive XFEM. Advances in Engineering Software, Vol.102, pp.105-122 (Elsevier, SCIE, IF =3.19). Tinh Quoc Bui, Duc Hong Doan, Thom Van Do, Sohichi Hirose, Nguyen Dinh Duc (2016). High frequency modes meshfree analysis of Reissner-Mindlin plates. Journal of Science: Advanced Materials and Devices, Vol. 1(3), pp.400-412 (Elsevier). Nguyen Dinh Duc (2016). Nonlinear thermal dynamic analysis of eccentrically stiffened S-FGM circular cylindrical shells surrounded on elastic foundations using the Reddy’s third-order shear deformation shell theory. J. European Journal of Mechanics – A/Solids, Vol.58, pp.10-30 (Elsevier, SCI, IF=2.88). Nguyen Dinh Duc (2016). Nonlinear thermo-electro-mechanical dynamic response of shear deformable piezoelectric Sigmoid functionally graded sandwich circular cylindrical shells on elastic foundations. Journal of Sandwich Structures and Materials. DOI: 10.1177/1099636216653266 (SAGE, SCIE, IF=2.852). Dinh Duc Nguyen, Huy Bich Dao, Thi Thuy Anh Vu (2016). On the nonlinear stability of eccentrically stiffened functionally graded annular spherical segment shells. J. Thin-Walled Structures. Vol. 106, pp. 258-267 (Elsevier, SCIE, IF=2.88). Nguyen Dinh Duc, Pham Hong Cong (2016). Nonlinear thermo-mechanical dynamic analysis and vibration of higher order shear deformable piezoelectric functionally graded material sandwich plates resting on elastic foundations. Journal of Sandwich Structures and Materials. DOI:10.1177/1099636216648488 (SAGE, SCIE, IF=2.852). Pham Hong Cong, Nguyen Dinh Duc (2016). Thermal stability analysis of eccentrically stiffened Sigmoid – FGM plate with metal –ceramic-metal layers based on FSDT. Cogent Engineering (2016), 3: 1182098, pp.1-15 (Taylor & Francis, Scopus Journal, IF=0.62). Pham Van Thu, Nguyen Dinh Duc (2016). Nonlinear dynamic response and vibration of an imperfect three-phase laminated nanocomposite cylindrical panel resting on elastic foundations in thermal environments. J. Science and Engineering of Composite Materials, DOI: 10.1515/secm-2015-0467 (De Gruyter, SCIE, IF=0.593). Nguyen Dinh Duc, Dao Huy Bich, Pham Hong Cong (2016). Nonlinear thermal dynamic response of shear deformable FGM plates on elastic foundations. J. Thermal Stresses, Vol. 39(3), pp.278-297 (Taylor & Francis, SCI, IF=1.85). Vu Thi Thuy Anh, Nguyen Dinh Duc (2016). Nonlinear response of shear deformable S-FGM shallow spherical shell with ceramic-metal-ceramic layers resting on elastic foundation in thermal environment. J. Mechanics of Advanced Materials and Structures, Vol. 23 (8), pp.926-934 (Taylor & Francis, SCIE, IF=2.64). Tran Quoc Quan, Nguyen Dinh Duc (2016). Nonlinear vibration and dynamic response of shear deformable imperfect functionally graded double curved shallow shells resting on elastic foundations in thermal environments. J. Thermal Stresses, Vol 39 (4), pp.437-459 (Taylor & Francis, SCI, IF=1.85). Vu Thi Thuy Anh, Pham Hong Cong, Dao Huy Bich, Nguyen Dinh Duc (2016). On the linear stability of eccentrically stiffened functionally graded annular spherical shell on elastic foundations. J. of Advanced Composite Materials, Vol.25(6), pp.525-540 (Taylor & Francis, SCIE, IF=2.64). Nguyen Dinh Duc, Pham Hong Cong, Vu Dinh Quang (2016). Thermal stability of eccentrically stiffened FGM plate on elastic foundation based on Reddy’s third-order shear deformation plate theory. J. Thermal Stresses 39(7), pp.772-794 (Taylor & Francis, SCI, IF=1.85). Nguyen Dinh Duc, Pham Hong Cong, Ngo Duc Tuan, Phuong Tran, Vu Minh Anh, Vu Dinh Quang (2016). Nonlinear vibration and dynamic response of imperfect eccentrically stiffened shear deformable sandwich plate with functionally graded material in thermal environment. Journal of Sandwich Structures and Materials, Vol 18 (4), 445-473 (SAGE, SCIE, IF=2.852), DOI:10.1177/1099636215602142. Vu Thi Thuy Anh, Nguyen Dinh Duc (2015). The nonlinear stability of axisymmetric FGM annular spherical shells under thermo-mechanical load. J. Mechanics of Advanced Materials and Structures, Vol.23 (12), pp.1421-1429 (Taylor & Francis, SCIE, IF=2.64). Nguyen Dinh Duc, Pham Hong Cong (2015). Nonlinear vibration of thick FGM plates on elastic foundation subjected to thermal and mechanical loads using the first order shear deformation plate theory. Cogent Engineering (2015), 2: 1045222, p.1-17 (Taylor & Francis, Scopus Journal). Nguyen Dinh Duc, Ngo Duc Tuan, Phuong Tran, Nguyen Trong Dao, Ngo Tat Dat (2015). Nonlinear dynamic analysis of Sigmoid functionally graded circular cylindrical shells on elastic foundations using the third order shear deformation theory in thermal environments. International Journal of Mechanical of Sciences, Vol. 101-102, pp.338-348. (Elsevier, SCI, IF=3.57). Pham Hong Cong, Pham Thi Ngoc An, Nguyen Dinh Duc (2015). Nonlinear stability of shear deformable eccentrically stiffened functionally graded plates on elastic foundations with temperature-dependent properties. J. Science and Engineering of Composite Materials,DOI 10.1515/secm-2015-0225, (De Gruyter, SCIE, IF=0.593). Nguyen Dinh Duc, Ngo Duc Tuan, Tran Quoc Quan, Nguyen Van Quyen, Tran Van Anh (2015). Nonlinear mechanical, thermal and thermo-mechanical postbuckling of imperfect eccentrically stiffened thin FGM cylindrical panels on elastic foundations. Thin-Walled Structures, Vol.96, pp.155-168. (Elsevier, SCIE, IF=2.88). Nguyen Dinh Duc, Pham Hong Cong, Vu Minh Anh, Vu Dinh Quang, Phuong Tran, Ngo Duc Tuan, Nguyen Hoa Thinh (2015). Mechanical and thermal stability of eccentrically stiffened functionally graded conical shell panels resting on elastic foundations and in thermal environment. J. Composite Structures, Vol.132, pp.597-609 (Elsevier, SCIE, IF=4.1). Nguyen Dinh Duc, Homayoun Hadavinia, Pham Van Thu, Tran Quoc Quan (2015). Vibration and nonlinear dynamic response of imperfect three-phase polymer nanocomposite panel resting on elastic foundations under hydrodynamic loads. J. Composite Structures, Vol.131, pp.229-237 (Elsevier, SCIE, IF=4.1). Nguyen Dinh Duc, Tran Quoc Quan (2015). Nonlinear dynamic analysis of imperfect FGM double curved thin shallow shells with temperature-dependent properties on elastic foundation. Journal of Vibration and Control, Vol.21 (7), pp.1340-1362 (SAGE, SCIE, IF=2.101). Nguyen Dinh Duc, Tran Quoc Quan, Vu Dinh Luat (2015), Nonlinear dynamic analysis and vibration of shear deformable piezoelectric FGM double curved shallow shells under damping-thermo-electro-mechanical loads. J. Composite Structures, Vol. 125, pp 29-40 (Elsevier, SCIE, IF=4.1). Tran Quoc Quan, Phuong Tran, Ngo Duc Tuan, Nguyen Dinh Duc (2015). Nonlinear dynamic analysis and vibration of shear deformable eccentrically stiffened S-FGM cylindrical panels with metal-ceramic-metal layers resting on elastic foundations. J. Composite Structures, Vol.126, pp. 16-33 (Elsevier, SCIE, IF=4.1). Nguyen Dinh Duc, Pham Hong Cong (2015). Nonlinear dynamic response of imperfect symmetric thin S-FGM plate with metal- ceramic-metal layers on elastic foundation. Journal of Vibration and Control, Vol. 21(4), pp.637-646 (SAGE, SCIE, IF=2.101). Nguyen Dinh Duc, Pham Toan Thang (2015). Nonlinear dynamic response and vibration of shear deformable imperfect eccentrically stiffened S-FGM circular cylindrical shells surrounded on elastic foundations. J. of Aerospace Science and Technology, Vol.40, pp.115-127 (Elsevier, SCI, IF=2.22). Nguyen Dinh Duc, Pham Toan Thang, Nguyen Trong Dao, Hoang Van Tac (2015). Nonlinear buckling of higher deformable S-FGM thick circular cylindrical shells with metal-ceramic-metal layers surrounded on elastic foundations in thermal environment. J .of Composite Structures, Vol.121, pp.134-141 (Elsevier, SCIE, IF=4.1). Nguyen Dinh Duc, Pham Hong Cong (2015). Nonlinear thermal stability of eccentrically stiffened functionally graded truncated conical shells surrounded on elastic foundations. European Journal of Mechanics – A/Solids, Vol.50, pp.120-131 (Elsevier, SCI, IF=2.88). Vu Thi Thuy Anh, Dao Huy Bich, Nguyen Dinh Duc (2015). Nonlinear buckling analysis of thin FGM annular spherical shells on elastic foundations under external pressure and thermal loads. European Journal of Mechanics – A/Solids, Vol. 50, pp 28-38 (Elsevier, SCI, IF=2.88). Nguyen Dinh Duc, Pham Toan Thang (2015). Nonlinear response of imperfect eccentrically stiffened ceramic-metal-ceramic S-FGM thin circular cylindrical shells surrounded on elastic foundations under uniform radial load. J. Mechanics of Advanced Materials and Structures, Vol.22, pp.1031-1038 (Taylor & Francis, SCIE, IF=2.64). T. Vu Quoc, H. Nguyen Dac, T. Pham Quoc, D. Nguyen Dinh, T. Chu Duc (2015). A printed circuit board capacitive sensor for air bubble inside fluidic flow detection. J. Microsystem Technologies, Vol. 21, pp.911-918. DOI:10.1007/s00542-014-2141-8 (Springer, SCI, IF=1.58). Nguyen Dinh Duc, Tran Quoc Quan (2014). Transient responses of functionally graded double curved shallow shells with temperature-dependent material properties in thermal environment. European Journal of Mechanics – A/Solids. Vol.47, pp.101-123 (Elsevier, SCI, IF=2.88). Nguyen Dinh Duc, Pham Toan Thang (2014). Nonlinear buckling of imperfect eccentrically stiffened metal-ceramic-metal S-FGM thin circular cylindrical shells with temperature-dependent properties in thermal environments. International Journal of Mechanical of Sciences, Vol.81, pp.17-25 (Elsevier, SCI, IF=3.57). Nguyen Dinh Duc, Tran Quoc Quan (2014). Nonlinear response of imperfect eccentrically stiffened FGM cylindrical panels on elastic foundation subjected to mechanical loads. European Journal of Mechanics – A/Solids. Vol.46, pp.60-71 (Elsevier, SCI, IF=2.88). Nguyen Dinh Duc, Pham Toan Thang (2014). Nonlinear response of imperfect eccentrically stiffened ceramic-metal-ceramic FGM circular cylindrical shells surrounded on elastic foundations and subjected to axial compression. J. Composite Structures, Vol. 110, pp.200-206 (Elsevier, SCIE, IF=4.1). Hoang Van Tung, Nguyen Dinh Duc (2014). Nonlinear response of shear deformable FGM curved panels resting on elastic foundations and subjected to mechanical and thermal loading conditions. J. Applied Mathematical Modelling, Vol. 38, Issues 11-12, pp.2848-2866 (Elsevier, SCIE, IF=2.61). Dao Huy Bich, Nguyen Dinh Duc, Tran Quoc Quan (2014). Nonlinear vibration of imperfect eccentrically stiffened functionally graded double curved shallow shells resting on elastic foundation using the first order shear deformation theory. International Journal of Mechanical of Sciences, Vol.80, pp.16-28 (Elsevier, SCI, IF=3.57). Nguyen Dinh Duc, Vu Thi Thuy Anh, Pham Hong Cong (2014). Nonlinear axisymmetric response of FGM shallow spherical shells on elastic foundations under uniform external pressure and temperature. J. European Journal of Mechanics – A/Solids, Vol.45, pp.80-89 (Elsevier, SCI, IF=2.88). Nguyen Dinh Duc, Pham Van Thu (2014). Nonlinear stability analysis of imperfect three-phase polymer composite plates in thermal environments. J. Composite Structures, Vol.109, pp.130-138 (Elsevier, SCIE, IF=4.1). Nguyen Dinh Duc, Pham Hong Cong (2014). Nonlinear postbuckling of an eccentrically stiffened thin FGM plate resting on elastic foundation in thermal environments. J. Thin Walled Structures, Vol.75, pp.103-112 (Elsevier, SCIE, IF=2.88). Nguyen Dinh Duc (2013). Nonlinear dynamic response of imperfect eccentrically stiffened FGM double curved shallow shells on elastic foundation. J. Composite Structures, Vol 102, pp.306-314 (Elsevier, SCIE, IF=4.1). Nguyen Dinh Duc, Tran Quoc Quan (2013). Nonlinear postbuckling of imperfect eccentrically stiffened P-FGM double curved thin shallow shells on elastic foundations in thermal environments. J. Composite Structures, Vol.106, Dec. 2013, pp. 590-600, (Elsevier, SCIE, IF=4.131/08/2018). Nguyen Dinh Duc, Tran Quoc Quan (2013). Nonlinear postbuckling of imperfect double curved thin FGM shallow shells on elastic foundations subjected to mechanical loads. J.Mechanics of Composite Materials, Vol.49. N5, p.493-506 (Springer, SCIE, IF=0.834). Nguyen Dinh Duc, Tran Quoc Quan, Do Nam (2013). Nonlinear stability analysis of imperfect three phase polymer composite plates. J. Mechanics of Composite Materials Vol.49, N4, p. 345-358 (Springer, SCIE, IF=0.834). Nguyen Dinh Duc, Pham Hong Cong (2013). Nonlinear postbuckling of symmetric S-FGM plates resting on elastic foundations using higher order shear deformation plate theory in thermal environments. J. Composite Structures, Vol 100, pp 566-574 (Elsevier, SCIE, IF=4.1). Do Ngoc Chung, Nguyen Nang Dinh, David Hui, Nguyen Dinh Duc, Tran Quang Trung and Mircea Chipara (2013). Investigation of Polymeric Composite Films Using Modified TiO2 Nanoparticles for Organic Light Emitting Diodes. J. Current Nanoscience, Vol 9, Issue 1, pp.14-20 (Bentham Science Publishers, SCIE, IF=1.3). Nguyen Dinh Duc, Tran Quoc Quan (2012). Nonlinear stability analysis of double curved shallow FGM panel on elastic foundation in thermal environments. J. Mechanics of Composite Materials (Springer, SCIE, IF=0.834), Vol.48, N4, pp.435-448. Nguyen Dinh Duc, Nghiem Thi Thu Ha (2012). Determining the deflection of thin composite plates under unsteady temperature filed. J. Mechanics of Composite Materials (Springer, SCIE, IF=0.834), Vol 48, N3, pp.297-304. Nguyen Dinh Duc, Vu Nhu Lan, Tran Duc Trung, Bui Hai Le (2011), A study on the application of hedge algebras to active fuzzy control of a seism-excited structure. Journal of Vibration and Control (SAGE, SCIE, IF=2.101), Vol 18 (14), pp.2186-2200. Nguyen Dinh Duc, Hoang Van Tung (2011), Mechanical and thermal postbuckling of higher order shear deformable functionally graded plates on elastic foundations. J. Composite Structures (Elsevier, SCIE, IF=4.1), Vol. 93, N3, pp.2874-2881. Nguyen Dinh Duc, Hoang Van Tung (2010), Nonlinear response of pressure-loaded functionally graded cylindrical panels with temperature effects. J. Composite Structures (Elsevier, SCIE, IF=4.1), Vol. 92, Issue 7, pp.1664-1672. Hoang Van Tung, Nguyen Dinh Duc (2010). Nonlinear analysis of stability for functionally graded plates under mechanical and thermal loads. J. Composite Structures (Elsevier, SCIE, IF=4.1), Vol.92, Issue 5, pp. 1184-1191. Nguyen Dinh Duc, Dinh Khac Minh (2010). Bending analysis of three-phase polymer composite plates reinforced by glass fibers and Titanium oxide particles. J. Computational Materials Sciences (Elsevier, SCI, IF=2.53), vol. 49, N4, Supplement, pp.S194-S198. Nguyen Dinh Duc, Hoang Van Tung (2010). Mechanical and thermal postbuckling of shear deformable FGM plates with temperature-dependent properties. J. Mechanics of Composite Materials (Springer, SCIE, IF=0.834), Vol.46, Issue 5, Page 461- 476. Phan Viet Dung, Pham Tien Lam, Nguyen Dinh Duc, Ayumu Sugiyama, Tatsuya Shimoda, Dam Hieu Chi (2010). First-principles study of the thermally induced polymerization of cyclopentasilane. J. Computational Materials Sciences (Elsevier, SCI, IF=2.53), Vol. 49, N1, Supplement, pp.S21-S24. Tien Lam Pham, Phan Viet Dung, Ayumu Sugiyama, Nguyen Dinh Duc, Tatsuya Shimoda, Akihiko Fujiwara, Dam Hieu Chi (2010). First principles study of the physisorption of hydrogen molecule on graphenne and carbon nanotube surfaces adhered by Pt atom. J. Computational Materials Sciences (Elsevier, SCI, IF=2.53) , Vol.49, N1, Supplement, pp.S15-S20. Nguyen Dinh Duc, Dinh Khac Minh, Pham Van Thu (2010). The bending analysis of three phase polymer composite plate reinforced glass fibres and titanium oxide particles including creep effect. International Journal of Aeronautical and Space Sciences ( Publisher of The Korean Society for Aeronautical & Space Sciences, SCIE, IF=0.494), Vol 11, N4, pp.361–366. Vanin G.A., Nguyen Dinh Duc (1997). The determination of rational structure of spherofibous plastics.1. 3Dm Models. J. Mechanics of composite materials (Springer, SCIE, IF=0.834), vol.33, N2, pp.107-111. Nguyen Dinh Duc (1997). The shear of the orthogonally reinforced spherofibrours composite. J. Mechanics of composite materials (Springer, SCIE, IF=0.834), vol.33, No.1, pp.74-79. Nguyen Dinh Duc (1997). The thermoelastic expansion of spherical fiber composite. J. Mechanics of composite materials (Springer, SCIE, IF=0.834), vol.33, No.2, pp.179-184. Nguyen Dinh Duc (1997). Rational structures of spherofibrous composites. 2. 4Dm Models J. Mechanics of composite materials (Springer, SCIE, IF=0.834), 1997, vol. 33, No.3, pp.263-268. Nguyen Dinh Duc (1997). Theory of fibre-matrix delamination in sphero-fibrous plastics. J. Mechanics of composite materials (Springer, SCIE, IF=0.834), vol.33, No.5, pp.455-459. Vanin G.A., Nguyen Dinh Duc (1996). Theory of spherofibrous composite.1.The input relationships: hypothesis and models. J. Mechanics of composite materials (Springer, SCIE, IF=0.834), vol.32, No.3, pp.197-207. Vanin G.A., Nguyen Dinh Duc (1996). Theory of spherofibrous composite. 2.The fundamental equations. J. Mechanics of composite materials (Springer, SCIE, IF=0.834) , vol.32, No.3, pp.208-216. Vanin G.A., Nguyen Dinh Duc (1996). Creep of plastics with spherical inclusions. J. Mechanics of composite materials (Springer, SCIE, IF=0.834), vol.32, No.5, pp.467-472. Nguyen Dinh Duc (1996). Shear creep of orthogonalyl reinforced spherofibrous composite. J. Mechanics of composite materials (Springer, SCIE, IF=0.834), 1996, vol.32, No.6, pp.532-538. Vanin G.A., Nguyen Dinh Duc (1996). Creep of orthogonalyl reinforced spherofibrous composite. J. Mechanics of composite materials (Springer, SCIE, IF=0.834), vol.32, No.6, pp.539-543. Nguyen Dinh Duc (1990). The analysis of failure criterions of composite materials. “VINITI” of Acad. of Scien. USSR, No.4619B-90, 27 pages. Nguyen Dinh Duc (1991). The analysis of failure criterion for unidirectional fibre composite with periodic structure. “VINITI” of Acad. of Scien. USSR, No.321B-91, 62 pages . Nguyen Dinh Duc (1991). The dependence of effective strength tensor on plastics properties of composite. “VINITI” of Acad. of Scien. USSR, No.2489B-91, 14 pages. Nguyen Dinh Duc (1991). The experimental control of some failure criterions for anisotropic materials. In the book “Numerical simulation in the problems of mechanics”. Edited by Bakhvalov N.C. and Pobedria B.E., Moscow State University, pp.75-79. Nguyen Dinh Duc (1992). The comparative analysis of some falure criterions on the sample of orthotropous graphite. J. “VECTNIK” of Moscow State University, No.1, pp.88-92. Vanin G.A. and Nguyen Dinh Duc (1994). The theory of woven composite with profile fibre. The report of International conference “Mechanics of nonclassical materials” (Composite-94), Feb.1-5, 1994, Moscow, Russia, pp.206. Vanin G.A., Nguyen Dinh Duc (1995). The theory of woven composite with spatial interface. The thesis of ninth International conference on mechanics of composite materials. Oct. 17-20,1995, Riga, Latvia, pp.206. Nguyen Dinh Duc (1998). The three-phase composite 3Dm with hollow fibres. In the book: “The Science and collaboration”, “Creation” Publisher, Moscow , pp.341-347. Nguyen Dinh Duc, Yu.V.Suvorova, X.I.Alecxeeva (2000). Joint account of temperature and humidity in the constitutive equations of hereditary type. J. “Factory laboratory Diagnostics of materials“, No.11, pp.45-47 (in Russian). Nguyen Dinh Duc, Yu.V.Suvorova, X.I. Alecxeeva, T.G.Xorina (2000). The influence of moisture content on strength for basalt plastics. J. “Factory laboratory Diagnostics of materials“, No.12, pp.44-48 (in Russian). Nguyen Dinh Duc (1998). The three-phase composite with space structure 3Dm. Proceeding of the conference of Hanoi State University, Department of Mathe. & Mecha., April 24th 1998, Hanoi, Vietnam, pp 84-91. Nguyen Dinh Duc, Nguyen Hoa Thinh (2000). Mechanics of composite materials in beginning XXI century. J. “The engineering and equipment“, Hanoi, Vietnam, No.1, pp.18-21. Nguyen Dinh Duc (2001). Technology of manufacture of oil-pipe from composite materials in terms tropic of Vietnam. Proceedings of XIII - Conference of young scientist: “Pressing problems of machine manufacture“, December, Moscow - Russian, pp.28. Nguyen Dinh Duc (2002). The design, technology of manufacture and experiment for oil-pipe from composite materials. Proceedings of the seventh national congress on mechanics, Hanoi, December - 2002, pp.177-185. Nguyen Dinh Duc (2002). Determination of elastic moduli for the hybrid composite. Proceedings of the seventh national congress on mechanics, Hanoi, December -2002, pp.186-189. Nguyen Dinh Duc (2003). The problem of the new composite in the extreme high temperature, Journal of Scientific and Military technology, No.2, pp.54-62. Nguyen Dinh Duc (2003). The matrix of the new composite in the extreme high temperature, Journal of Science - Vietnam National University, Hanoi: “Mathematics-Physics“, No.2, Vol.19, pp.9-13. Nguyen Dinh Duc (2003). Mechanic of nanocomposite material, Journal of Science - Vietnam National University, Hanoi: “Mathematics-Physics“, No.4, Vol. 19, pp. 13-18. Nguyen Dinh Duc (2005). Three phase polymer nanocomposite Material, Journal of Science of Vietnam National University “Mathematics - Physics” N3, Vol. 21, pp.16-23. Nguyen Dinh Duc (2005). Composite material used in design and manufacture of flying vehicle. Proceedings of the First national congress on Mechanic of flying vehicle. Hanoi, 5-2005, pp.207-223. Nguyen Dinh Duc, Nguyen Le Hai (2006). The influence of spherical particles to structures of chemical pool and oil-pipe made of three-phase composite materials. Proceedings of the eighth national congress on Mechanics, Thai Nguyen, pp.301-309. Nguyen Dinh Duc, Hoang Van Tung (2006). The stability of the thin ruond cylindrical composite shells subjected to torsional moment at two extremities. Proceedings of the eighth national congress on Mechanics, Thai Nguyen, pp.310-317. Nguyen Dinh Duc, Hoang Van Tung, Do Thanh Hang (2006). A method for determining the bulk modulus of composite material with sphere pad seeds, Journal of Science, Mathematics- Physics, Vietnam National University, Hanoi, Vol. 22, No2, pp.17-20. Nguyen Dinh Duc, Hoang Van Tung (2006). Determining the effective uniaxial modulus of three-phase composite material of aligned fibres and spherical particles, Journal of Science, Mathematics- Physics, Vietnam National University, Hanoi, Vol. 22, No3, pp.12-18..
Nguyen Dinh Duc, Nguyen Tien Dac (2006). Determining the plane strain bulk moduls of the composite material reinforced by aligned fibre. Journal of Science, Mathematics- Physics, Vietnam National University, Hanoi, Vol.22, No4, pp.1-5. Luu Manh Ha, Tran Duc Tan, Nguyen Thang Long, Nguyen Dinh Duc, Nguyen Phu Thuy (2006). Errors determination of the MEMS IMU. Journal of Science, Mathematics- Physics, Vietnam National University, Vol.22, No4, pp.6-14. Nguyen Dinh Duc, Nguyen Le Hai (2007). Determining the mechanical modulus of three-phase composite material with spherical particles, Journal of Science and Technique, Military Technical Academy, No118, pp.34-40. Nguyen Dinh Duc, Hoang Van Tung, Do Thanh Hang (2007). An alternative method for determining the coefficient of thermal expansion of composite material of spherical particles. Vietnam Journal of Mechanics, Vol.29. N1, pp.58-64. T.D. Tan, L.M.Ha, N.T.Long, N.D.Duc, N.P.Thuy (2007). Land-vehicle MEMS INS/GPS positioning during GPS signal Blockage periods Journal of Science, Mathematics- Physics, Vietnam National University, Hanoi, Vol. 23, No4, pp.243-251. Tran Duc Tan, Luu Manh Ha, Nguyen Thang Long, Nguyen Dinh Duc, Nguyen Phu Thuy (2007). Integration of Inertial Navigation System and Global positioning sistem: Performance analysis and measurements. Proceedings of International Conference on Intelligent & Advanced Systems (ICIAS2007), November 2007, MALAYSIA, E-ISBN: 978-1-4244-1356-0. pp.1047-1050. Nguyen Dinh Duc, Hoang Van Tung (2007). An alternative method for determining thermal expansion coefficients for transversely isotropic aligned fibre composites. Proceedings of the eight National Conference on Mechanics, Hanoi, December – 2007, pp.156-166. Nguyen Dinh Duc (2007). Determination of module K for hollow-sphero composite. Proceedings of the eight National Conference on Mechanics, Hanoi, December, pp.148-155. Nguyen Dinh Duc, Luu Van Boi, Nguyen Tien Dac (2008). Determining thermal expansion coefficients of three-phase fiber composite material reinforced by spherical particles. Journal of Science, Mathematics- Physics, Vietnam National University, Hanoi, Vol. 24, No2, pp.57-65. Hoang Van Tung, Nguyen Dinh Duc (2008). Thermal buckling of imperfect functionally graded cylindrical shells according to Wan-Donnell model. Vietnam Journal of Mechanics, Vol. 30, N3, pp.185-194. Nguyen Dinh Duc, Hoang Van Tung (2008). Thermal buckling of functionally graded cylindrical panels. The International Conference on Computational Solid Mechanics (CSM2008), Hochiminh City, Vietnam, pp.77-87. Nguyen Dinh Duc, Hoang Van Tung (2008). Thermal buckling of imperfect functionally graded cylindrical shells according to Koiter model. The International Conference on Computational Solid Mechanics (CSM2008), Hochiminh City, Vietnam, pp.88-99. Nguyen Dinh Duc, Hoang Van Tung (2009). Thermal buckling of laminated plates comprising functionally graded materials. Proceedings of the National Conference on Mechanics, Hanoi, 3-2009, pp.30-39. Nguyen Nang Dinh, Nguyen Dinh Duc, Tran Thi Chung Thuy, Le Ha Chi, Do Ngoc Chung, Tran Quang Trung (2009). Characterization of mechanical, elictrical and spectral properties of nanocomposite films used for organic light emitting diodes. Proceedings of Second International Workshop on Nanotechnology and Application 2009 (IWNA 2009), November 12-14, Vung Tau, Vietnam, pp.63-68. Hoang Van Tung, Nguyen Dinh Duc (2010). Thermoelastic stability of thick imperfect functionally graded plates. Vietnam Journal of Mechanics, Vol.32, N1, pp.47-58. Nguyen Dinh Duc, Hoang Van Tung (2010). Buckling and postbuckling of functionally graded cylindrical shells subjected to mechanical and thermal loads. Proceeding of The International Conference on Engineering Mechanics and Automation (ICEMA), Hanoi, July -2010, pp.167-175. Dinh Khac Minh, Pham Van Thu, Nguyen Dinh Duc (2010). Bending of three phase composite plate with creep effect. Proceeding of The International Conference on Engineering Mechanics and Automation (ICEMA), Hanoi, July - 2010, pp.53-58. T.Chu Duc, T. Chu Duc, T.D. Nguyen and D.D. Nguyen (2010). Mechanical Analysis of a Sensing Microgripper Based on the Direct Displacement Method. Proceeding of The International Conference on Engineering Mechanics and Automation (ICEMA), Hanoi, July- 2010, pp.15-22. Nguyen Dinh Duc, Nguyen Thi Thuy (2010). Composite cylinder under unsteady, axisymmetric, plane temperature field. Journal of Science, Mathematics- Physics, Vietnam National University, Hanoi, Vol 26, No2, pp.83-92. Nguyen Dinh Duc, Nguyen Cao Son, Dinh Khac Minh (2010). Bending analysis of some composite plates for ship-building. Proceedings of Xth National Conference on Mechanics of Deformed Solid, Thai Nguyen, Nov. 2010, pp.198-203. Nguyen Dinh Duc, Nguyen Thi Thuy (2010). The composite cylinder under pressures and temperature field. Proceedings of Xth National Conference on Mechanics of Deformed Solid, Thai Nguyen, Nov.2010, pp.204-213. Nguyen Dinh Duc, Do Nam, Hoang Van Tung (2010). Effects of elastic foundation on nonlinear stability of FGM plates under compressive and thermal loads. Proceedings of Xth National Conference on Mechanics of Deformed Solid, Thai Nguyen, Nov. 2010, pp.191-197. T. D. Tan, L. M. Ha, N. T. Long, C. D. Trinh, N. D. Duc (2010). Design, Simulation and Performance analysis of INS/GPS Integration System. Proceedings of National Conference on “Science and Technology of Space and Application”, Hanoi, Dec-2010, ISBN: 978-604-913-023-6, pp. 234-241. Nguyen Dinh Duc, Dinh Khac Minh (2010). Experimental for bending Analysis of 3-phase Composite Plate in Ship Structure. Journal of Science, Mathematics- Physics, Vietnam National University, Hanoi, Vol. 26, No3, pp.141-146. Nguyen Dinh Duc, Dinh Khac Minh (2011). Experimental study on mechanical properties for three phase polymer composite reinforced by glass fibers and titanium oxide particles. Vietnam Journal of Mechanics, Vol.33, N2, pp.105-112. Nguyen Dinh Duc, Nghiem Thi Thu Ha (2011). The bending analysis of thin composite plate under steady temperature field. Journal of Science, Mathematics- Physics, Vietnam National University, Hanoi, Vol.27, N2, pp.77-83. Nguyen Dinh Duc, Dinh Khac Minh (2012). Experimental study on Young’s modulus E of the polymer composite reinforced by nano titanium dioxide particles, Vietnam Journal of Mechanics, Vol.34, N1, pp19-25. Nguyen Dinh Duc, Pham Hong Cong (2012). Nonlinear dynamic response of S-FGM plate. Proceeding of The Second International Conference on Engineering Mechanics and Automation (ICEMA2012), Hanoi, August- 2012, pp.271-278. Nguyen Dinh Duc, Tran Quoc Quan, Nguyen Xuan Tu (2012). Nonlinear stability analysis of imperfect three phase polymer composite plate resting on elastic foundations. Proceeding of The Second International Conference on Engineering Mechanics and Automation (ICEMA2012), Hanoi, August- 2012, pp.279-288. Nguyen Dinh Duc, Bui Duc Tiep (2012). Structural analysis of three phase composite plate under bending loads. Proceeding of The Second International Conference on Engineering Mechanics and Automation (ICEMA2012), Hanoi, August- 2012, pp.260-270. Nguyen Dinh Duc, Dinh Van Dat, Do Nam (2012). Nonlinear vibration and dynamic response of eccentrically stiffened laminated imperfect three phase polymer composite plates. Proceedings of the IXth National Conference on Mechanics, Hanoi, December, 2012, pp.306-317. Nguyen Dinh Duc, Ho Quang Sang, Dao Xuan Nguyen (2012). Abaqus application in stres-strain calculating for 3- phase polymer composite pipes under outline and inline pressure. Proceedings of the IXth National Conference on Mechanics, Hanoi, December, 2012, pp.318-328. Tran Quoc Quan, Nguyen Dinh Duc (2013). Nonlinear postbuckling of imperfect symmetric thin S-FGM double curved shallow shells with ceramic-metal-ceramic layers on elastic foundations subjected to mechanical loads. Proceedings of XI National Conference on Mechanics of Deformed Solid, Ho Chi Minh City, Nov. 2013. Vu Thi Thuy Anh, Pham Hong Cong, Nguyen Dinh Duc (2013). Nonlinear stability of axisymmetric spherical shell with ceramic-metal-ceramic layers (S-FGM) and temperature-dependent properties on elastic foundation. Proceedings of XI National Conference on Mechanics of Deformed Solid, Ho Chi Minh City, Nov. 2013. Pham Hong Cong, Nguyen Dinh Duc (2013). Nonlinear analysis of symmetrical S-FGM plate with ceramic-metal-ceramic layers on elastic foundation using first order shear deformation plate theory and displacement functions. Proceedings of XI National Conference on Mechanics of Deformed Solid, Ho Chi Minh City, Nov. 2013. Vu Quoc Tuan, Nguyen Dac Hai, Pham Quoc Thinh, Nguyen Dinh Duc, Chu Duc Trinh (2013). Void fraction detecting in microfluidic channel flows based on a vertical capacitive structure. Proceedings of International Symposium on Frontiers of Materials Science (ISFMS), Ha Noi, Nov. 2013. Hong Nguyen, Thang Pham, Trinh Bui, Long Dang and Cong Pham, Duc Nguyen (2013). The temperature sensitivity of a critical electric field induced magnetic easy-axis reorientation in FM/FE layered heterostructures. Proceedings of International Symposium on Frontiers of Materials Science (ISFMS), Ha Noi, Nov. 2013. Pham Hong Cong, Dao Huy Bich, Nguyen Dinh Duc (2014), Nonlinear analysis on flutter of Sigmoid-functionally graded material plates with ceramic-metal-ceramic layers on elastic foundation. Proceedings of National Symposium on Vibration and Control of Structures under Wind Actions. Hanoi University of Science and Technology. Ha Noi, February 24-25, 2014, ISSN: 978-604-911-943-9, pp.133-147. Tran Quoc Quan, Dao Huy Bich, Nguyen Dinh Duc (2014), Nonlinear analysis on flutter of Sigmoid-functionally graded cylindrical panels on elastic foundations using Ilyshin supersonic aerodynamic theory. Proceedings of National Symposium on Vibration and Control of Structures under Wind Actions. Hanoi University of Science and Technology. Ha Noi, February 24-25, 2014, ISSN: 978-604-911-943-9, pp.148-161. Nguyen Dinh Duc, Pham Hong Cong, Song Jung Il (2014), Nonlinear vibration of thick Sigmoid-FGM plates on elastic foundation subjected to thermal load using the third order shear deformation theory. Proceeding of The Third International Conference on Engineering Mechanics and Automation (ICEMA 2014), Hanoi, October- 2014, ISBN: 978-604-913-367-1, pp.409-418. Pham Van Thu, Tran Quoc Quan, Homayoun Hadavinia, Nguyen Dinh Duc (2014). Nonlinear dynamic analysis and vibration of imperfect three phase polymer nanocomposite panel resting on elastic foundation under hydrodynamic loads. Proceeding of The Third International Conference on Engineering Mechanics and Automation (ICEMA 2014), Hanoi, October- 2014, ISBN: 978-604-913-367-1, pp. 499-508. Vu Thi Thuy Anh, Dao Huy Bich, Nguyen Dinh Duc (2014). Nonlinear post-buckling analysis of thin Sigmoid FGM annular spherical shells surrounded on elastic foundations under uniform external pressure including temperature effects. Proceeding of The Third International Conference on Engineering Mechanics and Automation (ICEMA 2014), Hanoi, October- 2014, ISBN: 978-604-913-367-1, pp.609-620. Nguyen Dinh Duc, Pobedrya B.E., Dao Huy Bich, Pham Toan Thang (2014). Nonlinear analysis on flutter of S-FGM thin circular cylindrical shells with metal-ceramic-metal layers surrounded on elastic foundations using Ilyushin supersonic aerodynamic theory. Proceeding of The Third International Conference on Engineering Mechanics and Automation (ICEMA 2014), Hanoi, October- 2014, ISBN: 978-604-913-367-1, pp. 419-426. Vu Van Dung, Vu Thi Thuy Anh, Nguyen Dinh Duc (2014). Nonlinear response of axisymmetric shear deformable Sigmoid FGM shallow spherical shells resting on elastic foundations under external pressure. Proceeding of The Third International Conference on Engineering Mechanics and Automation (ICEMA 2014), Hanoi, October- 2014, ISBN: 978-604-913-367-1, pp. 622-631. Tran Quoc Quan, Shen Hui - Shen, Nguyen Dinh Duc (2014). Nonlinear dynamic and vibration of imperfect Sigmoid-functionally graded double curved shallow shells resting on elastic foundations using the first order shear deformation theory. Proceeding of The Third International Conference on Engineering Mechanics and Automation (ICEMA 2014), Hanoi, October- 2014, ISBN: 978-604-913-367-1, pp. 526-535. Nguyen Dinh Duc, Vu Thi Thuy Anh, Dao Huy Bich (2014), The nonlinear post-buckling of thin FGM annular spherical shells under mechanical loads and resting on elastic foundations. Vietnam Journal of Mechanics, Vol.36, N4, pp. 291-306. Nguyen Thi Minh Hong, Pham Duc Thang, Dang Dinh Long, Pham Thai Ha, Nguyen Ngoc Trung, Pham Hong Cong, Nguyen Dinh Duc (2014). The Temperature-sensitivity of a Critical Electric Field Induced Magnetic Easy-axis Reorientation Ferromagnetic/ferroelectric Layered Heterostructures. J. Communication in Physis, Vol. 24, N3S1, pp.71-79. DOI:10.15625/0868-3166/24/3S1/5222. Pham Hong Cong, Dao Huy Bich, Nguyen Dinh Duc (2015), Nonlinear analysis on flutter of FGM plates using Ilyushin supersonic aerodynamic theory. Journal of Science, Mathematics- Physics, Vietnam National University, Hanoi, Vol.31, N1, pp.22-35. Tran Quoc Quan, Dao Huy Bich, Nguyen Dinh Duc (2015), Nonlinear analysis on flutter of functional graded cylindrical panels on elastic foundations using the Ilyushin nonlinear supersonic aerodynamic theory. Journal of Science, Mathematics- Physics, Vietnam National University, Hanoi, Vol.31, N2, pp 1-14. Vu Thi Thuy Anh, Dao Huy Bich, Nguyen Dinh Duc (2015). Nonlinear stability of thin FGM annular spherical segment in thermal environment. Vietnam Journal of Mechanics, Vol.37, N4, pp.285-302. Tran Quoc Quan, Dao Huy Bich, Nguyen Dinh Duc (2015). Research on flutter of double curved thin FGM shallow shells on elastic foundations using Ilyushin nonlinear supersonic aerodynamic theory. Proceedings of XII National Conference on Mechanics of Deformed Solid, Da Nang City, 6-7 August 2015, pp.1178-1185. Nguyen Dinh Duc, Ngo Duc Tuan, Phuong Tran, Tran Quoc Quan, Nguyen Van Quyen (2015). Nonlinear dynamic response of imperfect FGM plates subjected to blast load. Proceedings of XII National Conference on Mechanics of Deformed Solid, Da Nang City, 6-7 August 2015, pp. 472-479. Nguyen Dinh Duc, Tran Quoc Quan (2015). Nonlinear dynamic analysis of imperfect eccentrically stiffened S-FGM thick circular cylindrical shells on elastic foundations and subjected to mechanical loads. Proceedings of 16th Asia Pacific Vibration Conference (APVC16-2015). 24-26 Nov, 2015. Hanoi, Vietnam, pp.251-259. Ngo Duc Tuan, Phuong Tran, Nguyen Dinh Duc (2015). Nonlinear stability of pienzoelectric functionally graded circular cylindrical shell under temperature. Proceedings of The Fourteenth East Asia-Pacific Conference on Structural Engineering and Construction (EASEC14), HochiMinh City, 6-8 Jan, 2016, pp. 214-215. ISBN: 978-604-82-1684-9. Nguyen Dinh Duc, Phuong Tran, Pham Hong Cong (2015). Nonlinear thermal dynamic analysis of pienzoelectric functionally graded plates. Proceedings of The Fourteenth East Asia-Pacific Conference on Structural Engineering and Construction (EASEC14), HochiMinh City, 6-8 Jan, 2016, pp. 216-217. ISBN: 978-604-82-1684-9. Nguyen Dinh Duc, Ngo Duc Tuan, Tran Quoc Quan (2015). Analytical approach for investigating the nonlinear dynamic response of imperfect shear deformable FGM cylindrical panel subjected to blast loads. Proceedings of The Fourteenth East Asia-Pacific Conference on Structural Engineering and Construction (EASEC14), HochiMinh City, 6-8 Jan, 2016, pp. 218-219. ISBN: 978-604-82-1684-9. Duc Hong Doan, Tinh Quoc Bui, Nguyen Dinh Duc and Kazyyoshi Fushinobul (2015). Phase field dynamic crack growth in functionally graded materials. Proceedings of The Fourteenth East Asia-Pacific Conference on Structural Engineering and Construction (EASEC14), HochiMinh City, 6-8 Jan, 2016, pp. 220-221. ISBN: 978-604-82-1684-9. Pham Hong Cong, Nguyen Dinh Duc (2016). Vibration and nonlinear dynamic analysis of imperfect thin eccentrically stiffened functionally graded plates in thermal environments. Journal of Science, Mathematics- Physics, Vietnam National University, Hanoi, Vol.32, N1, pp 1-19. Pham Van Thu, Nguyen Dinh Duc (2016). Nonlinear stability analysis of imperfect three-phase sandwich laminated polymer nanocomposite panels resting on elastic foundations in thermal environments. Journal of Science, Mathematics- Physics, Vietnam National University, Hanoi, Vol.32, N1, pp 20-36. Hong Duc Doan, Tinh Quoc Bui, Kazuyoshi Fushinobu and Nguyen Dinh Duc (2016). Hybrid Phase Field Simulation of Dynamic Crack Propagation in Functionally Graded Glass-Filled Epoxy. The report of The National Conference on Composite Materials and Structures: Mechanics, Technology and Application. Nha Trang, Vietnam, 28-29 July, 2016. Nguyen Dinh Duc, Long Dang, Nguyen Xuan Nguyen (2016). The mechanical effect and physics properties of ZnO nanoparticles in nanocomposite organic solar cell P3HT:PCBM. Proceedings of The National Conference on Composite Materials and Structures: Mechanics, Technology and Application. Nha Trang, Vietnam, 28-29 July, 2016, pp.221-228. Pham Van Thu, Trinh Van Binh, Huynh Tan Dat, Nguyen Van Dat, Nguyen Dinh Duc (2016). Study of determination adjusted ratio for calculating strength of orthotropic laminated composite plates used in building ship. Proceedings of The National Conference on Composite Materials and Structures: Mechanics, Technology and Application. Nha Trang, Vietnam, 28-29 July, 2016, pp. 675-682. Nguyen Dinh Duc, Nguyen Nang Dinh, Pham Duc Thang, Dang Dinh Long, Nguyen Xuan Nguyen (2016). Enhancement of energy conversion efficiency in organic solar cell using nanoparticles. Proceedings of the Canada-Japan-Vietnam Workshop on Composites. 8-10, August, 2016, Hochiminh City, Vietnam. Nguyen Dinh Duc, Pham Hong Cong, Ngo Dinh Dat (2016). Nonlinear dynamic and vibration analysis of an eccentrically stiffened E-FGM plate in thermal environment. Proceedings of the Canada-Japan-Vietnam Workshop on Composites, Hochiminh City, Vietnam, 8-10 August, 2016. Nguyen Dinh Duc, Tran Quoc Quan, Pham Dinh Nguyen (2016). Nonlinear buckling and postbuckling of an eccentrically stiffened E-FGM circular cylindrical shells resting on elastic foundations in thermal environment. Proceedings of the Canada-Japan-Vietnam Workshop on Composites, Hochiminh City, Vietnam, 8-10 August, 2016. Nguyen Dinh Duc, Tran Quoc Quan (2016). Nonlinear dynamic response and vibration of imperfect eccentrically stiffened E-FGM double curved shallow shells in thermal environments. Proceeding of The Fourth International Conference on Engineering Mechanics and Automation (ICEMA 2016), Hanoi, 25-26 August, 2016, ISBN: 978-604-62-9730-8, pp.302-309. Nguyen Dinh Duc, Vu Thuy Anh, Vu Dinh Quang (2016). On the nonlinear dynamic and vibration stability of S-FGM spherical shells with metal-ceramic-metal layers resting on elastic foundation. Proceeding of The Fourth International Conference on Engineering Mechanics and Automation (ICEMA 2016), Hanoi, 25-26 August, 2016, ISBN: 978-604-62-9730-8, pp.310-317. Tinh Quoc Bui, Tuan A.H. Nguyen, Duc Hong Doan, Nguyen Dinh Duc and Sohichi Hirose (2016). Numerical Failure Simulation of Quasi-Brittle Materials using A Second-Order Implicit Gradient Damage Theory. Proceeding of The Fourth International Conference on Engineering Mechanics and Automation (ICEMA 2016), Hanoi, 25-26 August, 2016, ISBN: 978-604-62-9730-8, pp.253-258. Nguyen Dinh Duc, Pham Hong Cong, Nguyen Duy Khanh (2016). Nonlinear dynamic and vibration analysis of imperfect eccentrically stiffened E-FGM circular cylindrical shells surrounded by Pasternak elastic foundation in thermal environment. Proceeding of The Fourth International Conference on Engineering Mechanics and Automation (ICEMA 2016), Hanoi, 25-26 August, 2016, ISBN: 978-604-62-9730-8, pp.292-301. Phuc Minh Pham, Duc Hong Doan, Tinh Quoc Bui, Nguyen Xuan Nguyen, Nguyen Minh Dung, Nguyen Binh Khiem, Nguyen Dinh Duc (2016). A Numerical Study of Mixed-mode Crack Propagation in ZnO2/NiCr Functionally Graded Materials by A Hybrid Phase-Field Method. Proceeding of The Fourth International Conference on Engineering Mechanics and Automation (ICEMA 2016), Hanoi, 25-26 August, 2016, ISBN: 978-604-62-9730-8, pp.383-386. Duc Hong Doan, Tinh Quoc Bui, Nguyen Xuan Nguyen, Kazuyoshi Fushinobu, Nguyen Dinh Duc (2016). Dynamics Crack Propagation Simulation by A Rate-dependent Phase Field Fracture Approach. Proceeding of The Fourth International Conference on Engineering Mechanics and Automation (ICEMA 2016), Hanoi, 25-26 August, 2016, ISBN: 978-604-62-9730-8, pp.265-268. Thom Van Do, Tinh Quoc Bui, Duc Hong Doan and Nguyen Dinh Duc (2016). A finite Element Model Using a New Third-order Shear Deformation Plate Theory for The Analysis of Heated Functionally Graded plates in High Temperature. Proceeding of The Fourth International Conference on Engineering Mechanics and Automation (ICEMA 2016), Hanoi, 25-26 August, 2016, ISBN: 978-604-62-9730-8, pp.259-264. Do Van Thom, Doan Hong Duc, Bui Quoc Tinh and Nguyen Dinh Duc (2016). Buckling anslysis of plates with crack using FSDT and the phase-field theory. Proceedings of 2nd National Conference on Engineering Mechanics and Automation, Hanoi University of Science and Technology (HUST), Hanoi, Oct. 7-8, 2016. Doan Hong Duc, Bui Quoc Tinh, Nguyen Dinh Duc (2016). The behavior of cracks in the interface ZnO2 / NiCr. Proceedings of 2nd National Conference on Engineering Mechanics and Automation, Hanoi University of Science and Technology (HUST), Hanoi, Oct. 7-8, 2016. Doan Quang Van, Hiroyuki Kusaka, Nguyen Minh Truong, Doan Hong Duc, Nguyen Dinh Duc (2016). Applying dynamic downscaling method with a high-resolution regional climate model for local climate projection in greater Hanoi city. Proceedings of 5th International Conference on Vietnam Studies (ICVS-2016), Hanoi, Dec.15-16. Nguyen Dinh Duc, Pham Hong Cong, Ho Xuan Tinh (2016). Nonlinear buckling and postbuckling of an eccentrically stiffened E-FGM plate resting on elastic foudations in thermal environment. Vietnam Technology and Sciences Journal of Vietnam Ministry of Technology and Science, Vol. 8 (9), pp. 40-46. Duc Hong Doan, Thom Van Do, Tinh Bui Quoc, Nguyen Dinh Duc (2017). Numerical validation for free vibration of cracked Mindlin plates using phase-field method. The 2nd International Conference on Advanced in Computational Mechanics (ACMOE 2017), 02-04 August, Phu Quoc Island, Vietnam. Thom Van Do, Duc Hong Doan, Tinh Quoc Bui, Nguyen Dinh Duc (2017). Thermal buckling of cracked Mindlin FGM plates based on neutral surface and phase-field method. The 2nd International Conference on Advanced in Computational Mechanics (ACMOE 2017), 02-04 August, Phu Quoc Island, Vietnam. Duc Hong Doan, Thom Van Do, Nguyen Dinh Khoa, Nguyen Dinh Duc (2017). Phase-field based simulation of treansverse cracking in laminated. The 2nd International Conference on Advanced in Computational Mechanics (ACMOE 2017), 02-04 August, Phu Quoc Island, Vietnam. Pham Hong Cong and Nguyen Dinh Duc (2018). Nonlinear dynamic response of ES-FGM plate under blast load. Vietnam Journal of Mechanics, Vol.40 (1), pp.33-45. Do Van Thom, Duc Hong Doan, Nguyen Dinh Duc, Pham Tien Dat (2018). Free vibration of cracked composite plates. Proceeding of the Xth National Conference on Mechanics, Hanoi, December, 2017, Vol. 3, pp. 1038-1045. Tran Trung Thanh, Do Van Thom, Doan Trac Luat, Nguyen Dinh Duc (2018). Static bending analysis of variable-thickness FGM plates based on Mindlin theory and finite element method. Proceeding of the Xth National Conference on Mechanics, Hanoi, December, 2017, Vol. 3, pp.1151-1157. Nguyen Dinh Duc, Vu Thi Thuy Anh, Dinh Van Kiet (2018). Nonlinear stability of shallow spherical FG-CNTRC shell using FSDT. Proceeding of the Xth National Conference on Mechanics, Hanoi, December, 2017, Vol. 3, pp. 284-291. Nguyen Dinh Duc, Pham Minh Vuong (2018). Buckling analysis of FGM toroidal shell under torsional loads. Proceeding of the Xth National Conference on Mechanics, Hanoi, December, 2017, Vol. 3, pp.300-307. Nguyen Dinh Duc, Hoang Thi Thiem (2018). Mechanical and thermal postbuckling of FG CNTRC thick circular cylindrical shells using higher-order shear deformation theory. Proceeding of the Xth National Conference on Mechanics, Hanoi, December, 2017, Vol.3, pp.292-299. Nguyen Dinh Du, Nguyen Dinh Duc, Bui Quoc Tinh (2018). A novel integration scheme for the consecutive-interpolation multilateral element to improve the stiffness matrix. Proceeding of the Xth National Conference on Mechanics, Hanoi, December, 2017, Vol.2, pp. 468-475. Diplome of Invention N120 “The law of changes mechanical strength three-phase composite 3D by actions of spherical inclusions”. Moscow, Russia, 1999. Patent N1348 “Polymer composite materials with fiberglass" of National Office of Intellectual Property of Vietnam, Jan. 2016. Hoang Van Tung (2007-2010), thesis title: “ Elastic stability of functionally graded (FGM) plates and shells ” - Main supervisor (completed in 2010). Dinh Khac Minh (2007-2010), thesis title: “Bending analysis for three phase composite plates in shipbuilding industry” - Main supervisor (completed in 2010). Tran Quoc Quan, PhD thesis title: “Nonlinear static and dynamic stability of FGM double curved thin shallow shells on elastic foundation”, University of Enginering and Technology, Vietnam National University, Hanoi – Main supervisor (completed in 2018). Vu Thi Thuy Anh, PhD thesis title: “Nonlinear stability analysis for FGM spherical shells”, University of Enginering and Technology, Vietnam National University, Hanoi – Main supervisor (completed in 2017). Pham Van Thu, PhD thesis title: “Nonlinear stability of the plates in wing-manufaction for small composite hydrofoils in Vietnam” Institute of shipbuilding – Nha Trang University, Main supervisor. Pham Hong Cong, PhD thesis title: “Nonlinear static and dynamic stability of FGM plates”, University of Enginering and Technology, Vietnam National University, Hanoi – Main supervisor (completed in 2018). Nguyen Van Thanh, PhD thesis title: “Stability and nonlinear response of functionally graded nanotube-reinforced composite structures”. Pham Minh Phuc, PhD thesis title: “ Studying effects of cracks in the FGM plates using Phase-Field theory”. Nguyen Dinh Du, PhD thesis title: “CFEM for elastic and composite structures with crack ”. Pham Minh Vuong, PhD thesis title: “Nonlinear static and dynamic response of FGM toroidal shell segments using Third order shear deformation theory”. Hoang Thi Thiem, PhD thesis title: “Stability and nonlinear response of FGM eccentrically stiffened cylindrical shells using higher order shear deformation theory”. Do Quang Chan, PhD thesis title: “Stability analysis of FGM conical shells”. PhD student: Pham Dinh Nguyen, University of Engineering and Technology, VNU, Hanoi. Government Grant number KHGD/16-20.ĐT.032 of National Science and Technology Program of Vietnam for the period of 2016-2020 "Research and development of science education to meet the requirements of fundamental and comprehensive reform education of Vietnam" (2018-2020). Grant of NAFOSTED in Mechanics: “ Nonlinear static and dynamic analysis of functionally graded nanocomposite plates and shells reinforced by carbon nanotubes’’, Code 107.02-2018.04 (2018-2020). Grant of VNU, Hanoi “Investigation on stability and vibration of FGM structures”, Code QG.17.45 (2016-2018). Grant of NAFOSTED in Mechanics: “Nonlinear stability analysis of FGM structures subjected to special loads”, Code 107.02-2015.03 (2016-2018). Grant of Newton Fund Code NRCP1516/1/68 (The Royal Academy of Engineering –UK) in Coperation with University of Birmingham: “UK-Vietnam collaboration on a study of Mechanical Engineering and Advanced material science: Functionally Graded (FGM) plates and shells; three phase nanocomposite” (2016-2017). Project of Vietnam National University, Hanoi: “Nonlinear analysis on stability and dynamics of functionally graded shells with special shapes” (2014-2015). Project in Mechanics of NAFOSTED : "Nonlinear dynamic and static stability analysis of double curved shallow FGM shells on elastic foundation", Code 107.02–2013.06 (2013-2015).